The historic centre of Francavilla Fontana is one of my favourite places in Italy. I love architectural features, such as columns and arches, balconies and doorways, and every Italian village, town and city, has a historic centre with interesting streets to explore. One of my favourite places is the “Centro Storico” of my local town. I never tire of wandering those ancient stone streets and still spot features I hadn’t noticed before. It might be a family crest or a face carved in stone on a balcony, which then makes me wonder about the people who lived there hundreds of years ago. Don’t let Brexit mean you have to put your plans on hold – read the Property Buyers’ Guide to Currency to discover how to protect your money. While pondering these thoughts, my favourite place is sitting outside a café on the main piazza. From this spot I can watch the local community going about their day; old men sat on a bench chatting, smartly dressed businessmen popping into the café for a quick expresso at the bar, an old lady showering a child with kisses and praise “Bellissima! Bellissima!” and pigeons taking a drink from the fountain. Everyone is greeting each other like a long-lost friend, and even if I haven’t visited a certain café for a few months I get the same warm welcome. Italy has taught me that what makes a place special is the way you feel when you are there, the atmosphere created by the people, buildings and nature. Something you don’t get from a photo is the feeling of friendliness, wellbeing and space. My favourite beach is a long sandy stretch backed by sand dunes and a nature reserve where I have spotted flamingos. Every day I walk down my land to see the birds and wild flowers and gaze across the neighbouring fields. Who needs man-made tourist attractions when there are beautiful places all around Italy? The festive tug of war is one of my top events here in Francavilla! Most events in Italy have religious or historical origins. Nothing beats the atmosphere of a local town festa. This isn’t an event put on for tourists, it’s a coming together of a community to celebrate the Patron Saint of the town. Everyone is made welcome and it’s a real family event. For me one of the highlights is the street illuminations; thousands of tiny lights attached to wooden frames, running along the main street. Hone your negotiating skills with our free Negotiation Guide and get the most house possible for your money! 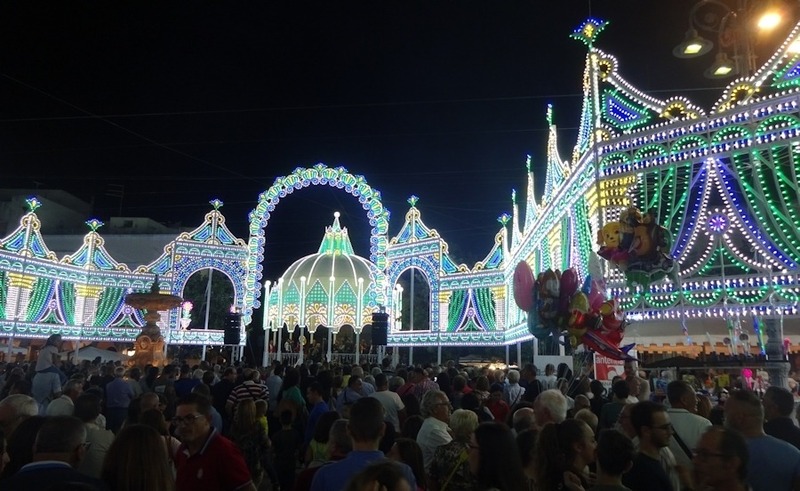 As well as the religious procession and church services there are fireworks, outdoor concerts, art exhibitions, kids entertainers, street food, stalls and games. 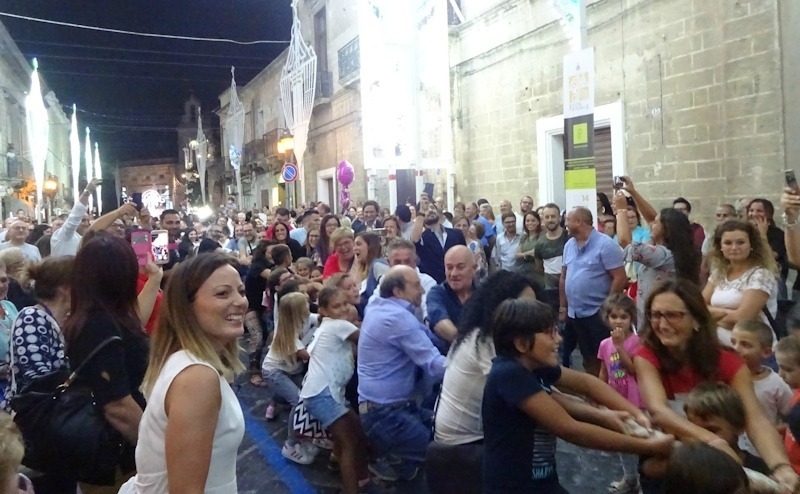 In our local town of Francavilla Fontana they hold a tug of war with hundreds of people pulling a rope that stretches the length of the main street, all ages hanging on to that rope and having a good laugh. The atmosphere is one of wonder, community and fun. The stunning illuminations in Francavilla. 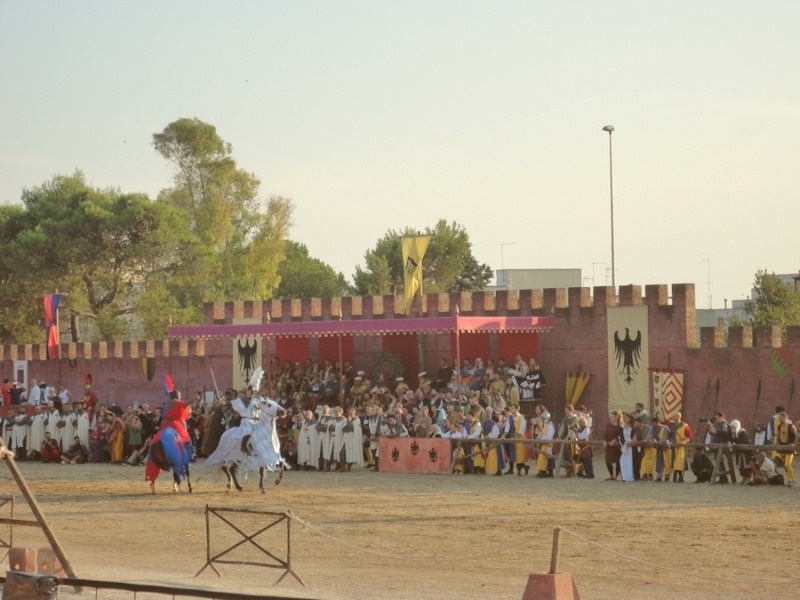 Another highlight of the summer is the “Torneo dei rioni” in the nearby town of Oria. It begins with the historical procession of Frederico II of Swabia, who each year is played by a well known actor. He rides through the town with his court of around 1,000, knights, flag-wavers, drummers, nobles, dancers and a team from each of the four districts of Oria: Castello, Judea, Lama and Santo Basilio. At the end of the parade Frederico II holds court in the piazza, with music, dancers and battle reenactors. 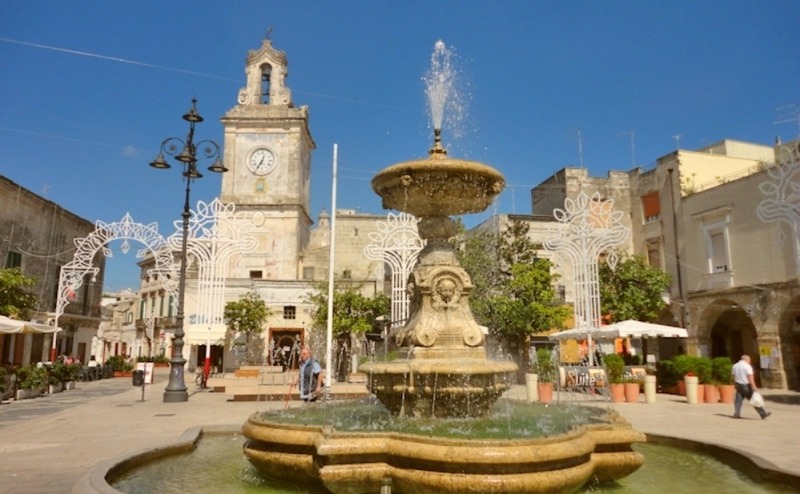 The torneo dei rioni in Oria, Apulia – another of my top events in Italy. On the Sunday, they all gather in the tournament ground to cheer on their team in the torneo. This involves young men racing across various courses, a bit like a medieval version of “It’s a knock out” (I hope I’m not the only person who remembers that fun TV show from the 60s,70’s and 80s). It’s a fun event for spectators, even though the teams obviously take winning very seriously. It’s a very proud honour for the winning team who gets to carry this years Palio banner through the town. Give our Resource Centre a call on 020 7898 0549 or send us an email at italy@propertyguides.com. Many events in Italy have grown from the history of the people and the places where they live. The traditions, songs, dances and food stand testament to their strong cultural heritage. My favourite places and events in Italy are those that preserve these traditions without allowing them too become touristy. Like the annual summer party at a local farm, where we sat on bales of hay, ate food produced on the farm and cooked in a wood oven, washed down with wine from their own grapes. It had the feel of a big family barbecue with all ages joining in with the traditional folk dancing played by a local group. This is why Italy is my favourite place.